Strataflo check valves are manufactured from a one-piece cast body, optimized for flow. Available with a rubber or metal seal (depending on application), our unique check valve design stabilizes the poppet, making them fully VFD-compatible while incorporating a precision spring which allows them to operate in any direction. Conical rubber poppets are fully molded around a solid steel insert, which makes the seal more durable than O-rings. 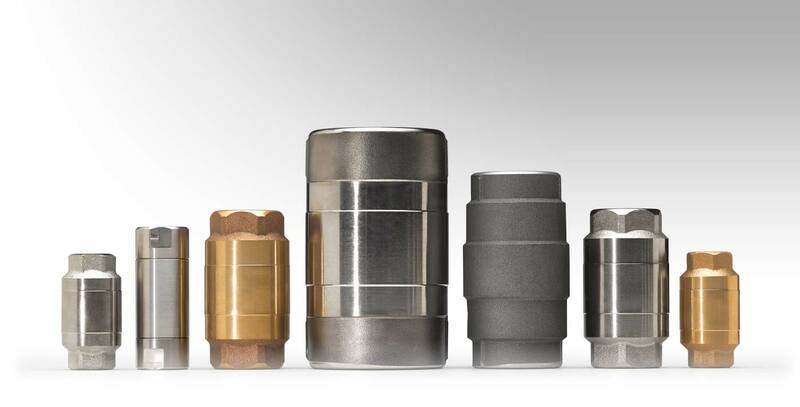 Stainless poppets are precision-machined to create a positive metal-to-metal seal for rigorous industrial applications.